Was looking everywhere for a dress for a special occasion. Unable to find anything I liked, so in desperation tried the web. What a surprise!! Not only what I was looking for, but custom made and fits to perfection. Highly recommend you try. Sukienka jest taka jak na zdjeciu, o takiej marzyłam, nie musze nic przerabiac, leży świetnie. Szybkie wykonanie i przesyłka, w 3 tygodnie sukienka w domu. Teraz tylko wyprasowac i świetowac! Dziekuje. The order arrived in about 3 weeks and in plenty of time. it was packaged very well. This dress looks good in the picture. I ordered using custom sizing, but it does not fit right. It is too big around the bust and the waist, so I'll have to get it altered so I can wear it. I know it can't be returned because of the special sizing, otherwise I would and choose something else. It looks much better in the picture like I said. I have just received my dress in Australia and it is beautiful!! It looks better than the pictures. Thank you for the great service. This was my first shopping experience over the internet and it was great!! I have now ordered my flower girl and bridesmaid dresses too and can't wait to get them. 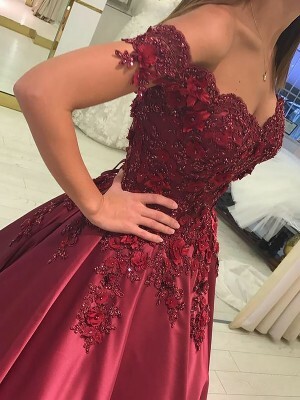 I will post some photos of the dress soon. Stupendo abito, veramente un bel tessuto e taglia su misura perfetta! Addirittura più bello che nelle foto! I got my dress yesterday. 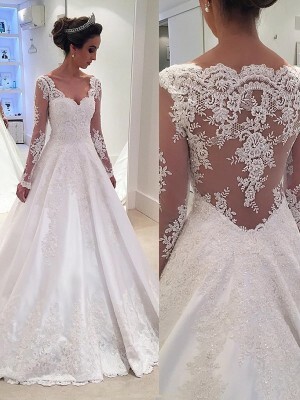 The arrival of my dress was a surprise since I thought I should wait a few more days. By the way, very nice dress!